Ammon Products, the original creator and distributor of grouted connection tubes and precast concrete accessories’ newest product is a support cap for the Wide Shoulder Sleeve. This new addition means increased stability and support for the wide shoulder sleeve, one of several different options offered by Ammon Products. 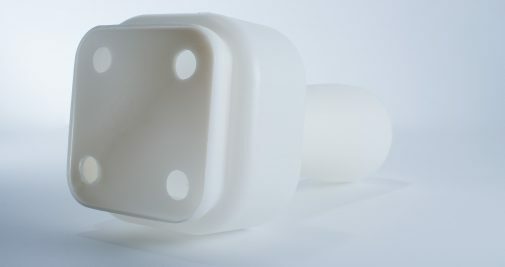 This sleeve is more spacious than the original shoulder sleeve variation of connection sleeve, which means that it requires a specially sized support cap. This cap reinforces the strength of the shoulder sleeve and is removed once the surrounding concrete has hardened. This allows users to create a stabilized, wide cavity in precast concrete, providing a wider bearing surface and larger bolt through holes than other sleeve options. As with all of our products, the sleeve is available in custom lengths, all of which use the same sized corresponding wide shoulder support cap.